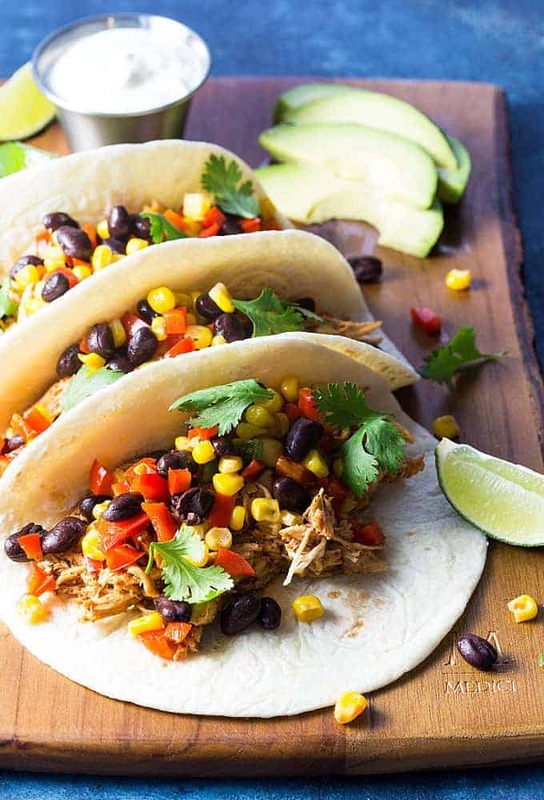 So zesty and flavorful, no one will ever know you threw these BBQ Chicken and Black Bean Tacos together in under 30 minutes! Yessssss! The shortcut here is using a store-bought rotisserie chicken (or leftover shredded chicken). I love rotisserie chickens because they’re so versatile in recipes, budget-friendly and time-saving. 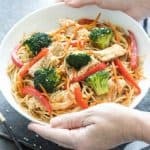 It doesn’t get much easier than this when it comes to a quick dinner the whole family will love! We’ve been working the past few nights getting prepared for our annual fish stew party, so the last thing I wanted to do was spend a ton of time in the kitchen. One night we ordered takeout and another night I made these tacos. 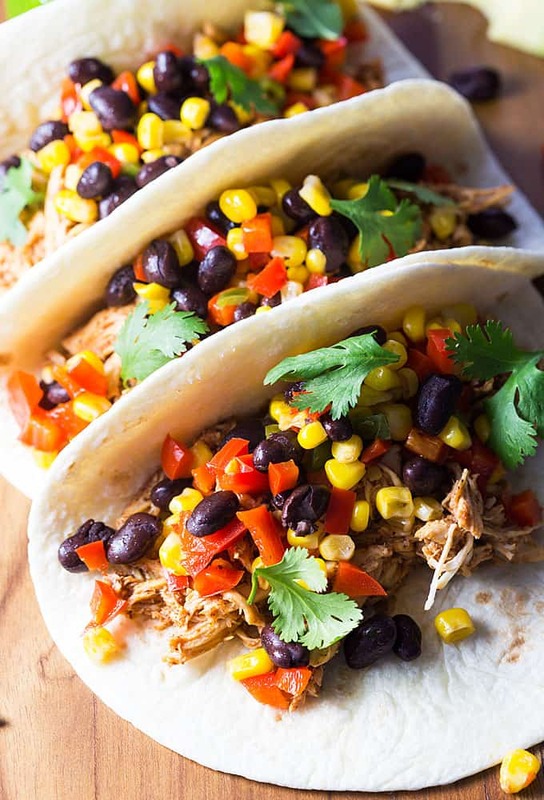 The combination of barbecue sauce (use your favorite), chili powder and cumin tossed with shredded chicken is a perfect match with the black bean and veggie mixture… so tangy and packed full of flavor! Heat oil in a large skillet over medium heat. Add bell pepper and jalapeno. Cook until tender (about 5 minutes), stirring often. 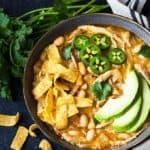 Add corn and black beans. Stir to combine and continue to cook until warmed (stirring occasionally) for an additional 2-3 minutes. Set aside. 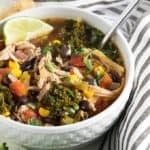 Place shredded chicken in a medium microwave-safe bowl. Add barbecue sauce, chili powder and cumin. Stir until combined and chicken is evenly coated. Loosely cover with a paper towel and microwave on high for 1 to 1-1/2 minutes, or until heated. Warm tortillas according to package directions. Spoon chicken mixture in equal amounts in each tortilla and top with black bean and vegetable mixture. Top with sour cream and fresh chopped cilantro, if desired. Store bought rotisserie chicken is a life saver. 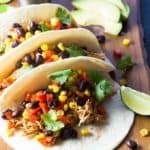 These quick and easy tacos look delicious!! I’ve got to make them this week! I make these on busy week nights and my family loves them! 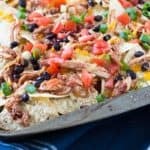 Your delicious, but quick and easy recipes are a life saver!! I picked up a rotisserie chicken in the deli and made these tacos for dinner. Oh. My. Goodness. It was so easy and all the kids just raved about them! 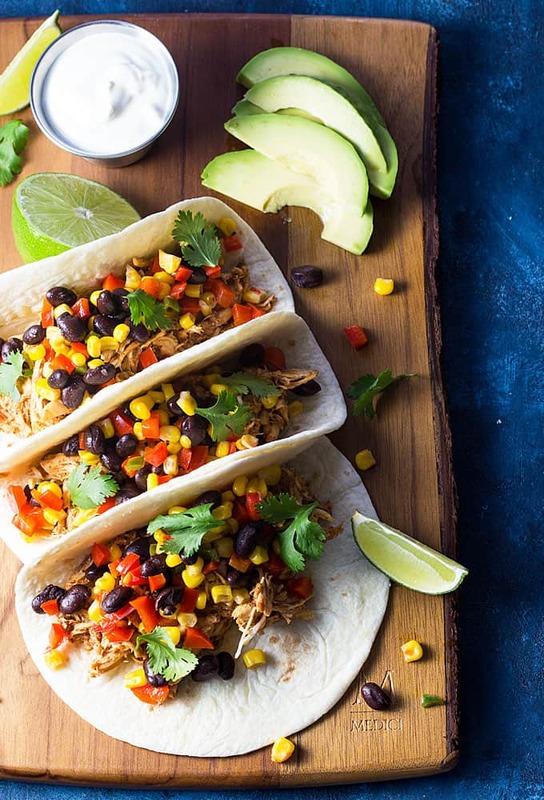 It’ll be our go-to recipe for taco Tuesdays! 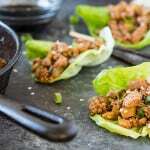 Made these last night and they are definitely going to be a regular meal for us. 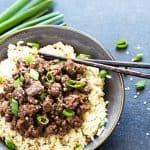 Can’t believe how EASY they are and simply delicious! Thanks so much for sharing.